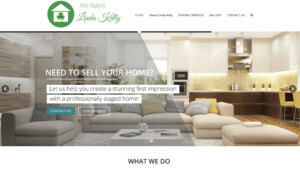 Linda Kelly is a professional Florida real estate agent who is also a certified home staging consultant. It was determined there was a need for home staging services in the North Port and Port Charlotte areas in 2015 when there were many homes purchased by investors for the purposes of “fixing and flipping”. The investors needed to create the impression of a livable home and staging their properties seemed to be the missing ingredient to sell their real estate quickly … and for more than they bargained. Incorporating creativity from her past occupation, Linda recently proved this theory when she staged her own home for resale and it was under contract in less than one week, selling for more than asking price!